Examine for oral cancer, by checking the face, mouth and throat. Examine for gum disease, scanning the gums and bone, probing for large pockets, gaps or recession of the gums, all of which are indications of periodontal disease. Investigate the teeth for cavities, using the modern techniques in dentistry. Take and consider your annual oral x-rays and pictures to be sure that we discover any unseen decay, cysts, bone loss or tumors that could progress to painful problems or tooth loss in the future. Verify the worthiness of your dental restorations such as fillings, crowns and dental implants. Decide the essential procedures for your dental cleaning, which follows the exam. 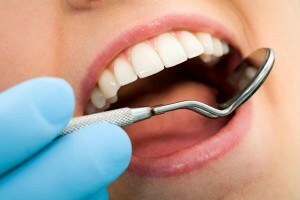 If you have a history with anxiety from visiting a dental office, all of these procedures may be completed using oral conscious sedation so you can have a stress-free visit to the Yuba City Dentistry Group. The office of our Yuba City dentists wants you to keep in mind that a semi-annual dental exam and dental cleaning are the critical first stages in keeping your oral health and preventing dental decay.